Federal government offices in Honolulu, Hawaii. The Honolulu-Pacific Federal Executive Board (HPFEB) was established in 1966 and is hosted by the Pearl Harbor Naval Shipyard and Intermediate Maintenance Facility. The Federal Executive Boards (FEBs), established by Presidential Directive in 1961, are a forum for communication and collaboration among Federal agencies outside of Washington, DC. The Honolulu-Pacific Federal Executive Board promotes and delivers programs and services related to Emergency Readiness, Employee Safety and Security, Workforce Development and Support, and Strategic Partnerships. It was a privilege for GoingClear Interactive to work with the Honolulu-Pacific Federal Executive Board (HPFEB) to design and develop their new website. The previous HPFEB website had been damaged for over a year due to security and technical obsolescence issues. 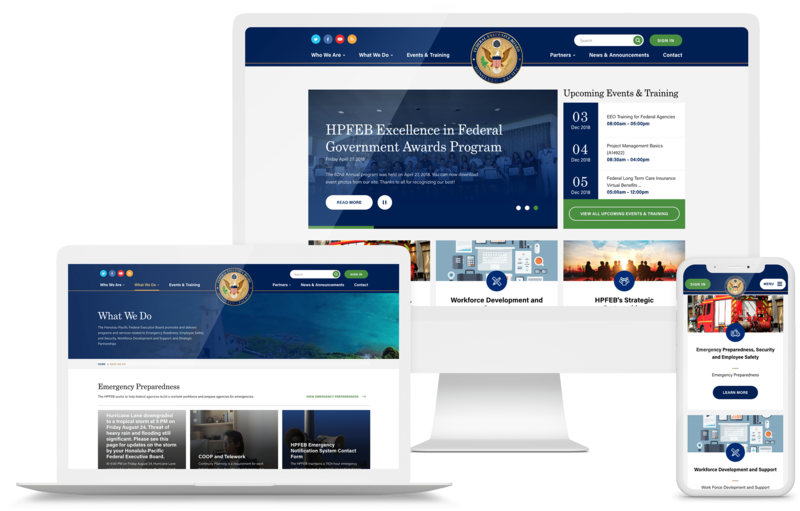 The new site is now hosted on a secure platform and meets all of the current security and privacy standards for federal government websites as well as accessibility. 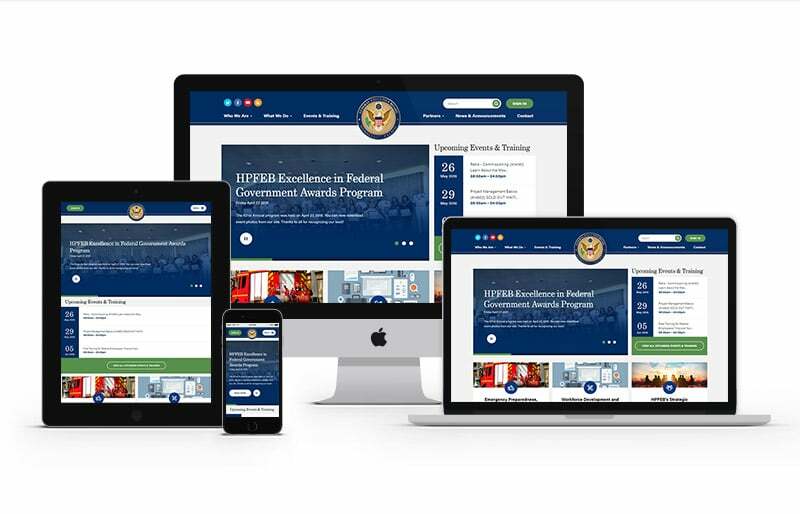 For HPFEB, their website's primary goal is to disseminate information of interest to federal agencies and employees, reducing the need to distribute multiple files to large distribution lists as was previously done. There are a lot of informative pages on the new website including an Events & Training page with an interactive calendar, a Sign In page to the Portal Login for primary and alternate members, and a searchable News & Announcements page. There are also numerous new features like interactive sliders, social media integration, RSS feed capability for announcements and events, and a customized back-end that allows HPFEB to assign internal or external links as well as types of files to include for open or download. GoingClear Interactive is honored and proud to have worked with a board that helps ensure an effective and efficient government, and serves the citizens of the Hawaii-Pacific Area.